Twenty first century is all about evolution in softwares and with every single day, a new technology evolves. Technologies are trying to match the miraculous mind of a human. What’s more? The technology to make the latest technology is advancing at a faster pace. Hence, just making softwares is not equal to job done or considered Achievements. Having the practical knowledge of the latest platforms that make the technology happen is equally important. NCoreSoft has its recent foundation in 2016. It has earned the trust and reliability of its clients in every technical and moral way possible. NCoreSoft understands and believes that the value of technology is in benefits it yields for its clients or consumers. The company took birth with several silver spoons in the form of it’s founders. They have work expertise of more than 10 years with Fortune 500 companies. NCoreSoft’s steady clienteles across the globe with praising reviews has given the company a noteworthy edge at GoodFirms. GoodFirms is research and review platform that helps the service seekers find the most compatible Partner. It uses legitimate research on the IT Companies that result from the Analysis of three main factors – Quality, Reliability and Ability. Not just that! The research includes the exploration of additional factors such as reviews, market penetration. They also have incredible experience earned along with the quality of software design and development. The research at GoodFirms shows that the focus area of NCoreSoft when it comes to services is hugely in software, web and mobile app development. Interestingly, the absolute piece of pie for client focus is dedicated to small businesses. This shows that NCoreSoft irrespective of business size, is more focused on the idea size of the projects obtained. Also, the industry focus is allotted to few major ones – Information Technology, Designing, Healthcare and Advertising. NCoreSoft’s key clients include significant names like www.Startupsuite.io, www.Urcomped.com, Guroos.tech, Ucarenet.com etc which are Funded by top investors with known names like Microsoft Bizspark. Check out for other client’s testimonials and Achievements on our site. The company’s work has reached across more than twenty countries collaborating with many digital agencies in different parts of world. NCoreSoft has attained a forte in transforming the virtual worlds of businesses through steady softwares and this has caused an eminent impact at GoodFirms. 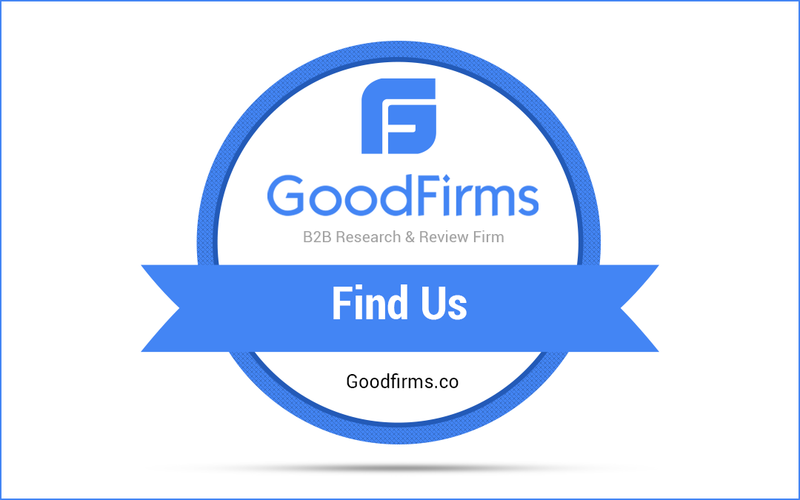 GoodFirms is a maverick B2B research and review firm that aligns its efforts in finding the top software development companies delivering unparalleled services to its clients. GoodFirms’ extensive research process ranks the companies, boosts their online reputation and helps service seekers pick the right technology partner that meets their business needs.